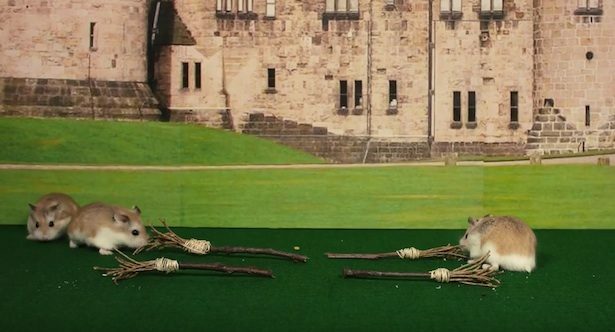 Harry Potter played by hamsters is everything you didn’t realize you needed and more. 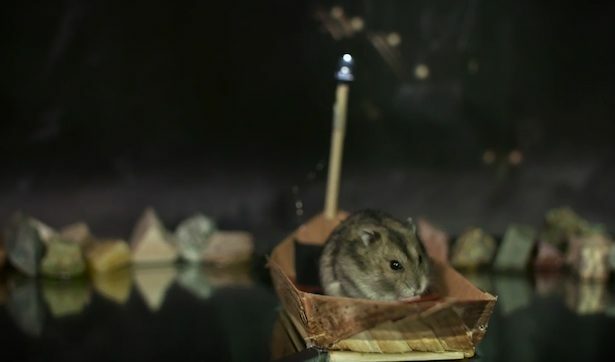 In this video produced by Mashable, you can watch your favorite Harry Potter characters portrayed by a bunch of cute little furballs, courtesy of Westchester Rescued Hamster Haven. 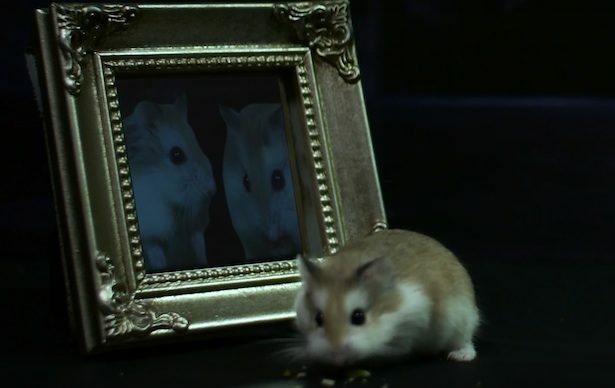 The video starts with the hamsters en route to Hogwarts, finding Platform 9 ¾ in order to catch the Hogwarts Express and follows them to Hogwarts, where even the moving pictures on the stairwell to the Gryffindor common room have hamsters eating carrots or grooming themselves. Just look at this little guy riding the boat to Hogwarts! And any Harry Potter tribute would be remiss not to include a Quidditch scene of course, complete with pint-sized broomsticks. We gotta say, these little guys really give real life Harry, Ron and Hermione a run for their money. Personally we’d like to see a hamster Hagrid. That’d be one big hamster, plus he could have a beard! Now tell us, which moment in the Harry Potter franchise are you dying to see interpreted by hamsters?